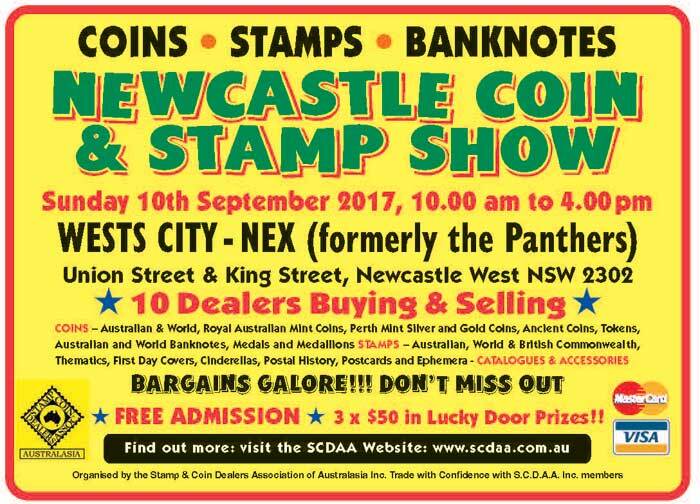 SCDAA – Stamp & Coin Dealers Association of Australasia Inc. The Stamp & Coin Dealers Association of Australasia Inc. was established in early 1970 when a number of Sydney suburban full and part-time Dealers felt the need to establish a Sydney based Trade Association to provide a service to the Collector in a growing Sydney market. The Stamp & Coin Dealers Association of Australasia Inc celebrated their 45th Anniversary in 2015. The Stamp & Coin Dealers Association of Australasia Inc. is a professional Association where Dealers are buying and selling Australian, Pacific and World Stamps, Coins and Banknotes. 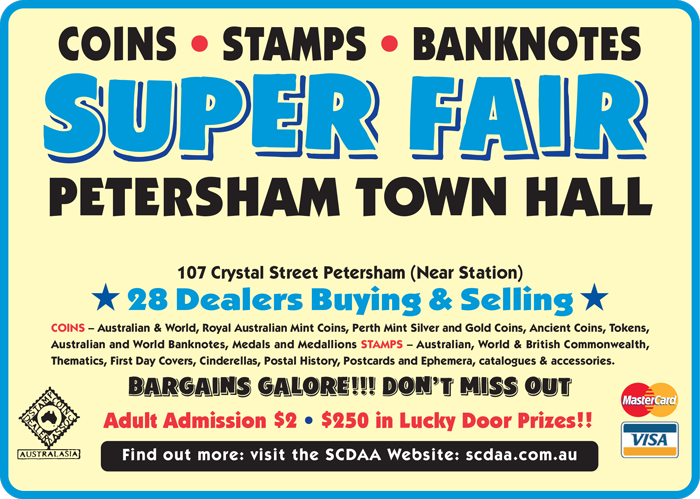 There are 28 Dealers attending Petersham Stamp, Coin & Banknote Fair at Petersham Town Hall, 107 Crystal Street, Petersham. The Dealers buy and sell Australian, Pacific & World stamps, coins, banknotes, first day covers, philatelic and numismatic covers (PNC’s) and also have stamp, coin & banknote accessories.